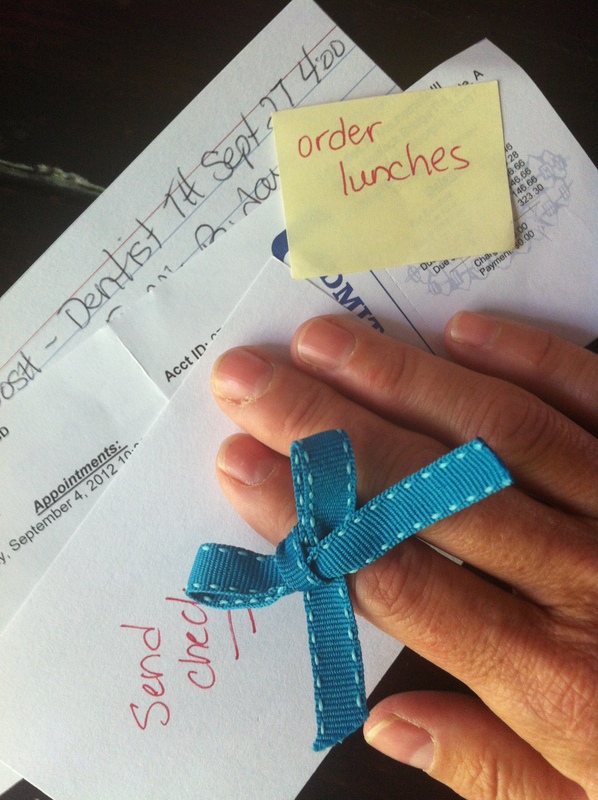 A Bow on my Finger…. Lists. Alerts on my phone. Reminder messages. Notes. Refrigerator post-its. Seems these days I use a multitude of ways to help me remember appointments, lunch orders, meetings, etc. I don’t want to forget those things immediately coming up. And it seems that it get more difficult with age. Today a new note is going on my fridge. Remember Him. Remember His deeds. Remember His ways. Remember His promises. Remember Who He is. Remember the cross and the resurrection. Remember hope. Remember love. When I run the water at my sink, remember that He can turn it into wine. When muddy feet tromp through my kitchen, remember He washed His friend’s feet. When fixing my hair, remember the extravagance with which the woman loved Jesus when she wiped His feet with her hair. When my husband leads me, remember even Jesus was under authority. When I worry about my children, remember He let the children come to Him and He cares for them. When I find myself in sin, remember His mercy and love to the woman at the well. When I make my bed, remember He had no place to lay His head. When it’s difficult to pray, remember He is praying constantly. When I meet a non-Christian, remember He came to me that I might go to others. When I fold the clothes, remember He said if I do it for anyone-even the least-I do it for Him. When I wonder about the future, remember He has already accomplished it. When I take a bath, remember He can walk on water. When I plant new plants for the fall, remember He is the vine. When I concern myself over finances, remember He owns the cattle on a thousand hills. Remember. Remember not to forget. Remember, because when He walked through this world persecuted, misunderstood, God handled by mere men, God on a cross, He remembered me. Thanks for the great reminder to remember. Hope all is well with you and the boys.